Pimp my dining room. Seriously. Children have no idea of the power they hold over their parents. It’s just as well. If they did, imagine the possibilities. It would all be puppies and ponies and chocolate for dinner. But procuring small, fuzzy animals aside, children, from day one, hold us in the palm of their hands never realizing at any moment they can, and do, crush us. Oftentimes several times a day. A fever will have us up all night with worry. A tantrum can send us into a fit of our own. A hug and a kiss melts our heart. The very heart they hold in their tiny fists. It takes a hard heart to not be melted by a child’s hands, a child’s tears, a skinned knee, a hopeful look. 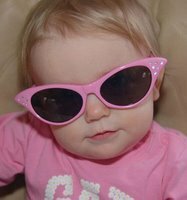 We write about it, in baby books, in blogs. We tell our friends and our family anecdotes. Share life’s small moments. Show them the latest pictures whether they want to see them or not. We have to. Love at its purest as well at its most complicated. We created them. They can end us. Give, take. Push, pull. Power without supremacy. Surrender without frailty. Nurturing. Giving. Love. My heart is their heart. They can do with it what they will. Oh God it is so true huh! My little one is still at the stage where she is just full of goodnes while my oldest is at the age where she is spitting venom 24/7. Both of them can break my heart in a second. When you've done your job well, though - as my mom did with me - someday they figure it out, and they're gentle with your heart, because they love you so very much. I bet your girls will get there sooner than you think. pgoodness tweeted this and i'm so glad she did! Wow. This is so right on and so very eloquent. so true. you've made me cry. I Just Want To Know What Chiky-Chiky Baby ?? So very lovely, and so very true. 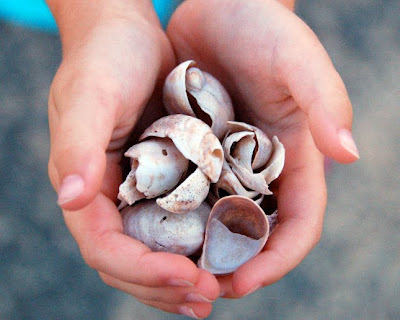 My He-Twin brought me shells this week and how the image touched me before I even read your words. love this post. we brought them in, they can take us out. I agree with cheap wedding accessories. You eat ponies and puppies for dinner?!? What is wrong with you? Crying. Love this. Truly love it. I read something once (possible by Hallmark. Don't judge.) about having children is letting your heart out of your body and watching it walk around. I'm Tania. I'm the brains behind this blog. Prepare to be amazed. Or Click Here To Find Out Who The Hell I Think I Am.